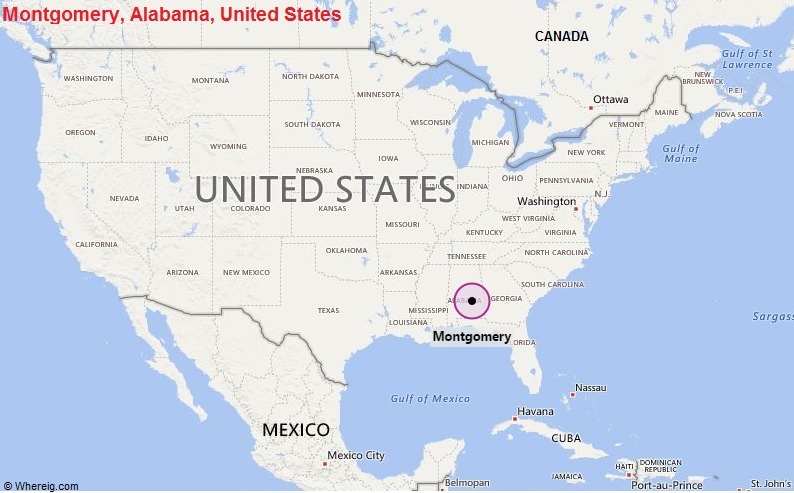 About Map: Map showing the Location of Montgomery in the US. Montgomery is located in the central part of the Alaba state. It is second-largest city in Alabama, after Birmingham, and 103rd largest in the country USA.